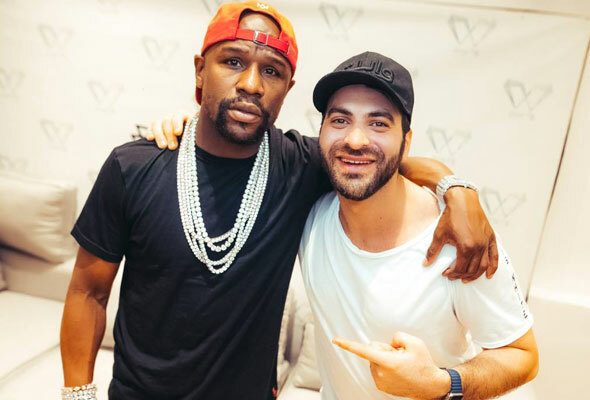 In case you hadn’t noticed, Floyd Mayweather is in the UAE. 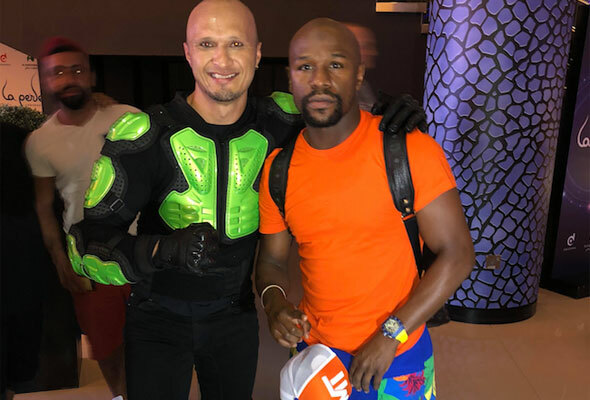 And while celebrities usually just drop in for a day or two, the boxing champion looks to have been taking a few days to enjoy everything Dubai and Abu Dhabi has on offer. Frequently taking to his Instagram stories, the boxing legend has been sure to keep his 21.5 million followers updated with what he’s been up to. He kicked off his trip on Friday, with a special live PA at open-air superclub, White Dubai for the second time this year. It was followed by a trip to Dubai’s stunning permanent water show, La Perle, where the impressed A-Lister took to his Instagram stories to share the show with his followers, as well as posing for pics with La Perle’s performers after the show. 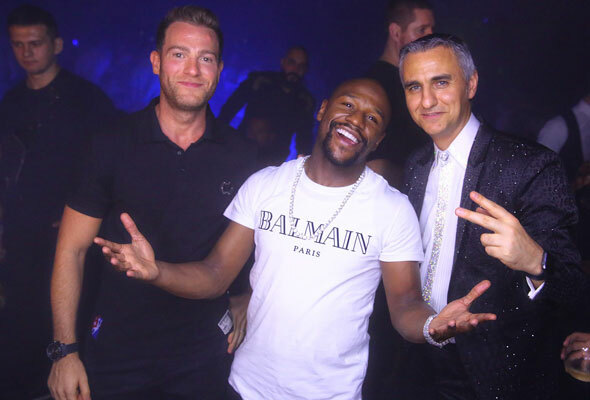 On Sunday, it was the turn of Dubai’s super swanky Cavalli Club to host Mayweather, who headed to the Sheikh Zayed Road nightspot for dinner. After an action-packed few days in Dubai, the star headed over to the Capital. 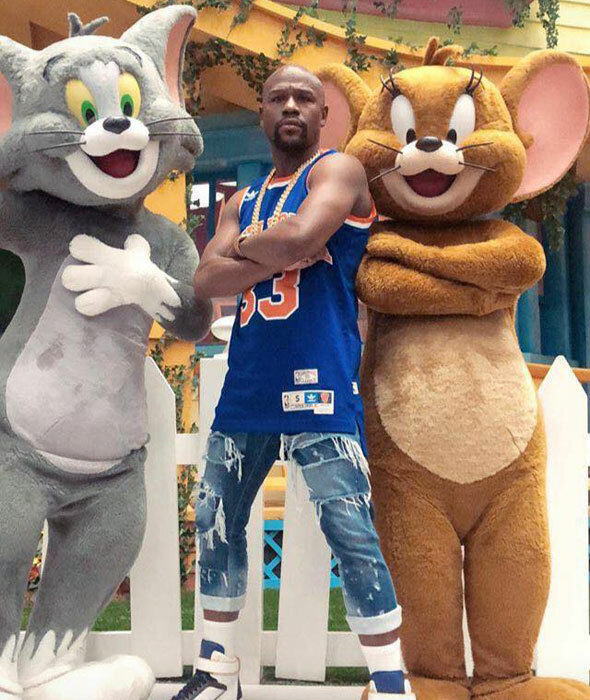 Clearly keen to make the most of Abu Dhabi’s most popular attractions, he was first spotted posing for pics at the recently opened Warner Bros World, before getting kitted out at Yas Marina Circuit for a spot of adrenaline-fueled racing. But that wasn’t all – his afternoon of fun was followed by a more cultural trip to the Sheikh Zayed Mosque. It’s not the first time Mayweather has been spotted enjoying his time in the Emirates. In 2015, he was spotted heading to Ski Dubai, throwing a yacht party and ziplining at the Burj Khalifa, while last year he stopped by to ride camels and drive supercars while on a trip to the city.